The ASUS ZenFone Max Pro M2 is touted as the brand’s most stylish Battery King to date. The slim, lightweight design makes the ZenFone Max Pro M2 look sleek, while the wave finish and Midnight Blue color give the device an elegant vibe. 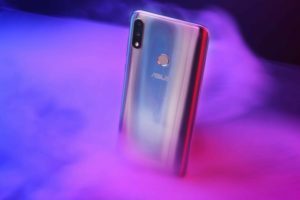 Now, ASUS Philippines brings you another stylish smartphone option with the arrival of the ZenFone Max Pro M2 in Cosmic Titanium. 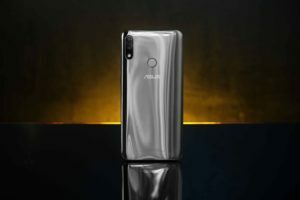 ASUS launched the ZenFone Max Pro M2 in the Philippines last December, followed by the introduction of its younger sibling, the ZenFone Max M2. The Cosmic Titanium variant of the ZenFone Max Pro M2 carries the same features as the other model. This version also comes with 5,000mAh battery, Qualcomm Snapdragon 660 processor, dual AI cameras, and 19:9 FHD+ display. Available in the 6GB RAM + 64GB ROM configuration, the ZenFone Max Pro M2 Cosmic Titanium retails for P14,995. This ZenFone device is available in ASUS-accredited stores and ZenFone kiosks. Know more information on the newest ZenFone Max Pro M2, the ZenFone series, and other products from ASUS; follow the ASUS Philippines Facebook Page and the ZenTalk Philippines Forum.